Gardening ensures our children have a lovely environment to play in, we have a relaxing place to entertain friends and family, and/or a supply of home-grown fruits, herbs and vegetables. But did you know that regular participation in gardening offers some amazing health benefits too?! After completing a stressful task, a Dutch study asked half of their participants to garden for 30mins and the other half to read indoors. The gardening group reported better moods and displayed measurable lower cortisol levels. Cortisol is the stress hormone and it has the power to impact on more than just mood. Chronically high levels of cortisol have been linked to a range of issues including memory and learning difficulties, heart disease, lower immune function and obesity. Gardening helps to keep hand muscles agile without the need for specialist exercises. Related research has been the inspiration for rehabilitation programmes for stroke patients involving gardening as an effective way of rebuilding both agility and strength. 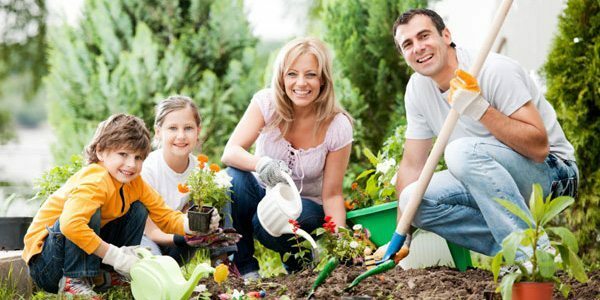 But take it easy – gardening can also be a starting point for repetitive stress injuries, carpal tunnel and tendonitis – remember to do a few simple warm-ups, alternate the use of your right and left hands (to avoid strain and for balance), change tasks frequently before strain occurs and position your body so that you are comfortable. This one is a great one! Not only are you absorbing Vitamin D to help you fight colds and flus, but the dirt under your fingernails is helping your immune system too. The friendly soil bacteria called Mycobacterium vaccae and common in garden soil is absorbed by ingestion on vegetables or inhalation. It’s been found to ease symptoms of allergies, asthma, psoriasis which can all stem from a compromised immune system. This friendly bacteria has also been shown to alleviate depression so getting your hands dirty is good for your physical and mental health. 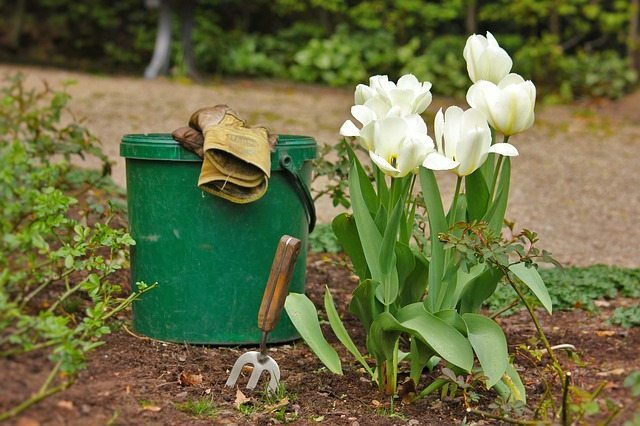 Gardening is a way to achieve your target 2.5 hours of moderate-intensity exercise each week. A large Stockholm study found that regular gardening reduces stroke and heart attack risk by up to 30% for those over 60. Make sure to expose your limbs (without sunscreen) for just 10 minutes during midday gardening: this will give you enough vitamin D to reduce risks of heart disease, osteoporosis, and various cancers. Try for 30 minutes of gardening a day: if your schedule won’t let you fit in half an hour at a stretch, try a quick 15 minutes in the morning, and another 15 later. Too much sitting is dangerous for your health, so break it up as much as you can with little spurts of activity like gardening. The growing field of ‘horticultural therapy’ is giving proven results for patients with depression and other mental illnesses. The benefits appear to be based on a combination of physical activity, awareness of natural surroundings, cognitive stimulation and the satisfaction of the work. To build the therapeutic properties of your own garden, aim for a combination of food-producing, scented, and flowering plants to nourish all the senses. Add a comfortable seat so you can continue to bask in the garden while you take breaks and relax. Letting your body get a little hot and sweaty might also have hidden benefits: as devotees of hot baths and saunas can attest, elevated body temperatures are also correlated with increased feelings of well-being. Don’t forget to drink plenty of water and know your limits. A long-term study followed nearly 3000 older adults for 16 years, tracking the incidence of all kinds of dementia and assessing a variety of lifestyle factors. Researchers found daily gardening to represent the single biggest risk reduction for dementia, reducing incidence by 36%. Another study estimated the risk reduction at 47%. Alzheimer’s is a mysterious disease and the factors influencing its progression and incidence remain largely misunderstood but gardening involves so many of our critical functions, including strength, endurance, dexterity, learning, problem-solving, and sensory awareness, so its benefits are likely to span a wide range of issues. So for a boost to your mental and physical health, get out into the garden and get your hands dirty. Your body, mind and plants will thank you for it. If your garden requires a bit more attention than you can handle on your own just contact Perth Landscaping and Gardening, we’re happy to help.